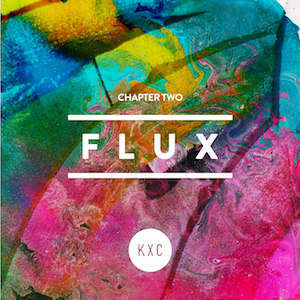 FLUX is the second album from KXC church London UK. I probably say this about a lot of the albums I work on (and perhaps thats a good thing? ), but this EP from KXC in London is one of my favorite albums I’ve ever worked on. The songwriting from this tribe is so great. Their heart, their pursuit of “real” songs and not just “proper” songs. Plus, they’re from the UK… I mean, does it get better? Because of their willingness to come to the Pacific Northwest and record at Feng Sway Studio, I was able to pull in some of my favorite players from Bethel Music fame – Pope, Whitworth, and Mackenzie – all incredible creative players. After a week of writing, the musicians converged on Feng Sway for the capture. Afterwards, I spent a great deal of time building layer after layer to sonically frame the stories in these songs. Oddly enough, one of the most interesting things happened during the sound design process of this album — I would have waking dreams in which cinematic sequences of the stories of these songs would play in front of me. I would wake up and write down what I saw, taking my notes with me to Feng Sway. From there, I would do my best to transcribe and describe these images sonically through the production of this EP. As crazy as that might sound, each mini-movie/waking dream sequence was my guide for the final touches on these songs. I believe it was truly the Lord Himself inspiring me. I’m thankful. Below you’ll find the credits for the EP, a promo video for it, and also the song story for “Steady Me’, my personal favorite song on this EP. When Karen describes me saying “I can see your story through this song”, she’s describing the aforementioned waking dreams I was having regarding “Steady Me’. A rare, vulnerable glimpse into her story for sure. I hope you enjoy listening to this project as much as I enjoyed working on it.